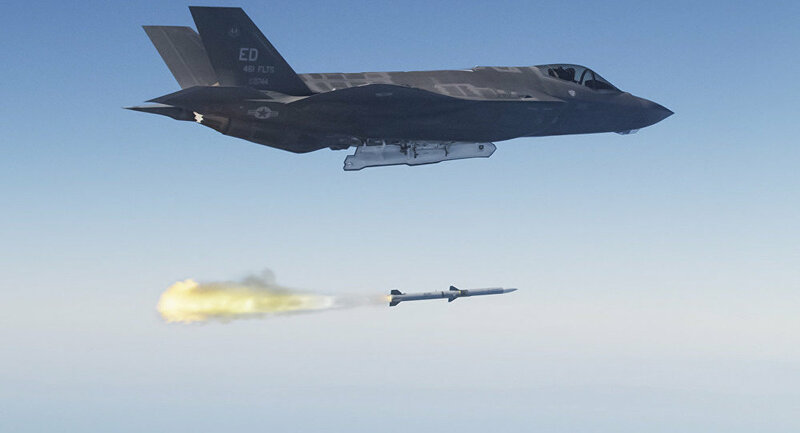 The US armed services is on the lookout for suitors that can provide the F-35 joint strike fighter with a precision guided 500-pound bomb capable of hitting mobile targets. The US Air Force is on a mission to add a non-developmental precision guided bomb to bolster its current weapons suite. The USAF hopes to procure the munitions in a time efficient manner, noting on a recent Sources Sought Synopsis that planners anticipate the first contract going out during the third quarter of fiscal year 2017. Deliveries of the initial production quantity shall begin no later than six (6) months after contract award, the document states. The 500-pound explosive must be able to hit targets moving in one direction at a velocity of 70 mph in addition to targets conducting near 0.2 g maneuvers at speeds up to 40 mph, the requirements section of the synopsis states. The USAF plans to acquire 400 bombs initially before increasing inventory of the missile to 1200. The F-35 has the carrying capacity for at least 3,500 pounds of bombs in stealth mode and 18,000 pounds "uncontested," accord to Lockheed Martin. It has tested a GBU-39 Small Diameter Bomb, a 350-pound precision guided glide weapon, an AIM-132 advanced short range air-to-air missile, and a Paveway IV missile, according to an article in The Aviationist. The Federal Business Opportunity website, a branch of the General Services Administration, posted the synopsis on February 10. The Air Force said the call for sources came "in response to an Air Combat Command (ACC) Quick Reaction Capability (QRC) requirement."